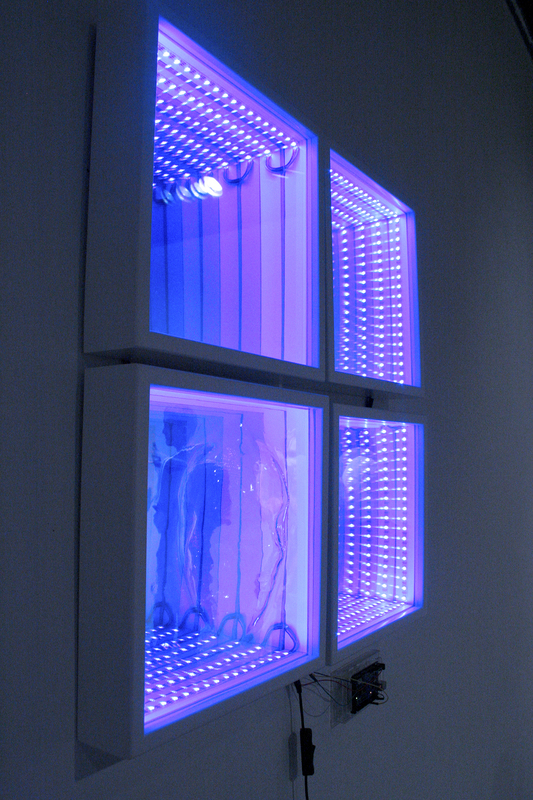 A pattern of four faded lights moves clockwise around the perimeter of the white shadowbox frames. The faded lights are subtle and are on the lower right side in the photograph. The acrylic face pushes three inches beyond the front of the frame, as if trying to escape the past. The single row of LEDs looks like thirty rows because the 144 lights are sandwiched between two-way mirrors on the front and standard mirrors toward the wall. 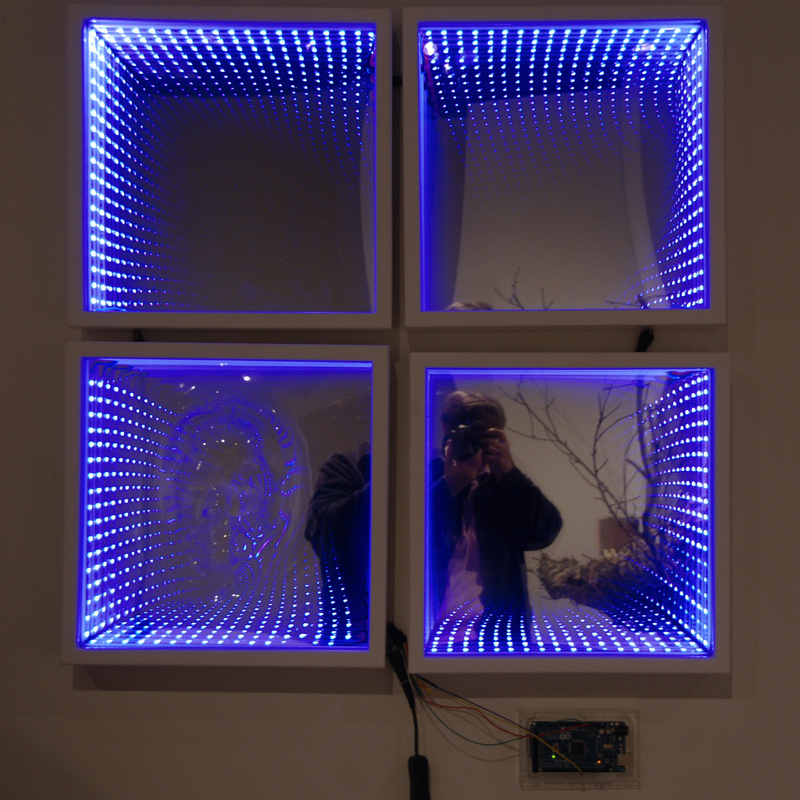 The Arduino Mega micro-controller is mounted in an acrylic iPod box on the wall. Thanks to Bryan Beard, the acrylic face was thermo-formed in Industrial Design’s plastics lab. 3/16″ acrylic was cut, mounted, heated, and pulled over a vacuum frame. The ceramic bisque mask was lifted into the drooping hot acrylic as a vacuum formed the clear acrylic around the mask. Drilled 1/16″ holes allowed the vacuum to pull the hot acrylic sheet against the mask and its support board. Our Spatial Media instructor, Brian Evans, took the far left photo during class critique.